Dr. Trey Berry is the 12th president of Southern Arkansas University. 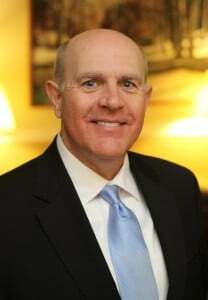 Berry joined SAU in 2011 as professor of history and dean of the College of Liberal and Performing Arts. He was promoted to provost and vice president for academic affairs a year later. Before coming to SAU, he spent two years as deputy director of the Department of Arkansas Heritage, two years as a dean at the University of Arkansas at Monticello, and 18 years as a faculty member and administrator at Ouachita Baptist University. Building on his promise to focus on people, planning, programs, and philanthropy, Berry plans to “hit the ground listening.” He said that as president his personal leadership style will not change from that which the campus community has already grown accustomed. Since first arriving at SAU four years ago, Berry has become active in the Magnolia community. He has served on the Board of Directors of the Magnolia-Columbia County Chamber of Commerce and the advisory board of the University of Arkansas for Medical Sciences – South since 2013. He has been a member of the Golden Triangle Economic Development Council Board of Directors since 2014, and is a member of the Rotary Club of Magnolia. Noting that “home is where the heart is,” he said Magnolia has become home for him and his family. Berry and his wife, Dr. Katherine Simms Berry, have two children, Tanner and Berkeley.